Scientists have been hard pressed to explain why menopause happens so early in humans - there's no obvious evolutionary advantage to having your reproductive system shut down decades before the rest of your body. Most other long-lived animals keep reproducing until the end. Female turtles can lay fertile eggs at 100. Our primate relatives, too, keep pumping out young until they are near death. Now, scientists are finding clues to our unusual life pattern in killer whales - one of the few other species in which females get decades of so-called post-reproductive life. What they found was a surprising connection between longevity of mothers and their sons. Biologist Emma Foster of Exeter University in England said that females become fertile around 12, have a calf every 3 to 5 years, and then stop reproducing in their late 30s and early 40s. After that they can live many years, sometimes to 90 and beyond. "No other animals have such long post-reproductive lives," she said, except for pilot whales and humans. And while there's a small difference between the sexes in human longevity, it's extreme for whales, with females living to 90 and males rarely getting past 40. Scientists have little understanding of why this would be. In puzzling over this anthropologists have proposed what they call the grandmother hypothesis - the possibility that post-menopausal women gain an evolutionary edge by helping their existing children and grandchildren. In Darwinian terms, after all, no matter how many offspring you have, you'll still be a dead end unless your offspring have surviving offspring. Ultimately, according to the hypothesis, grandmotherly support could allow women to pass on more copies of their genes than by investing the same energy in continuing to have their own babies. 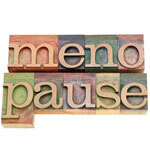 The other possibility is that menopause is some sort of evolutionary byproduct that can occur in long-lived animals. Scientists have tried to test the grandmother hypothesis by studying hunter-gatherer populations - people representing the way humans lived through most of our evolutionary past. Results over the years have been mixed, but work in the last decade has supported the idea, said Foster. From years of studying killer whales, scientists have come to realize something similar happens in the females, though the physiological mechanism behind it may be different from human menopause. Since the 1970s, scientists have been studying the same group of killer whales in the Pacific Ocean off the coast of British Columbia and Washington state, she said, and individual whales are easy to recognize from the patterns on their fins. Such easy identification has allowed biologists to gather long-term data on whale reproduction and longevity. Collaborating with researchers from York University in Toronto, The Center for Whale Research in Seattle and the Pacific Biological Station in British Columbia, Foster's group analyzed this data on the lives and deaths of 589 whales, 289 of which died since observations began in 1974. They applied techniques used by life insurance companies to calculate odds of death, she said, which led to the conclusion that maternal longevity was tied with the survival of their sons - strikingly so. "Males over 30 who lose post-reproductive mothers have a 14-fold increase in their risk of death during the first year after their loss," she said. There was a much smaller correlation to the deaths of older daughters. The researchers published the results in a recent issue of the journal Science. This is a variation on the grandmother hypothesis, since the longer the sons live, the more grand-offspring they can produce. Other research has found that males become more fecund as they get older, so in Darwinian terms it pays to have long-lived sons. But why would the connection to sons be stronger than the one to daughters? Some of this might go back to the fact that offspring stay with their mothers for life, said Foster. That means if you're a female whale, there's a limit to how many grand-offspring you can have through your daughters, since those offspring live in your pod and share your food. But the son's offspring are off another pod, living with their mothers, so they represent a relatively cost-free way a grandmother whale can propagate her genes. That still leaves the question of why would cause full grown male whales to become so tied to their mothers? That's a big open question, said Foster. There's some speculation that it's again related to the killer whales' social structure. Mothers, for example, may give their sons status in their groups. Perhaps whale society is like ancient Rome, where Livia and Agrippina acted out their oversized ambitions through their sons Tiberius and Nero, or whale mothers are like the fictitious Volumnia, ambitious mother of the Shakespearean warrior and consummate momma's boy, Coriolanus. But killer whales are not particularly aggressive toward each other, said Foster. They are top predators whose biggest threat in life is human beings.